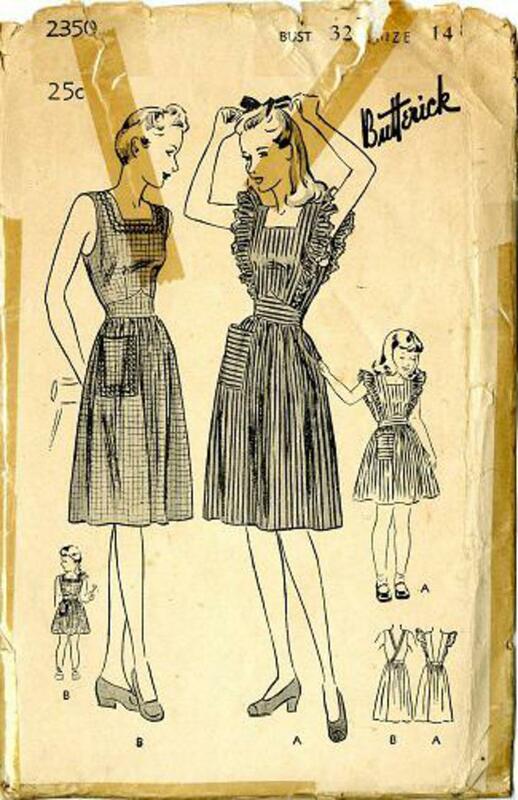 1942 Butterick #2350 vintage sewing pattern, misses' apron in two styles: pinafore and apron frock or sundress, size 14. Wear a comfy apron doing your household tasks. Pinafore (a) with bretelle treatment accented by embroidered edging; fitted midriff and dirndlish skirt. 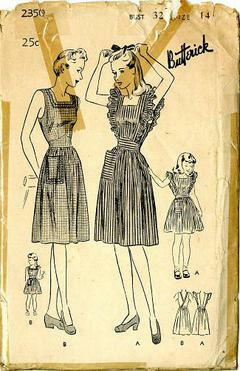 Perfect to wear as sun dress too, Apron frock (b) with surplice back; rick-rack trim. Unprinted tissue pattern in good, factory folded condition. Envelope is in poor condition.